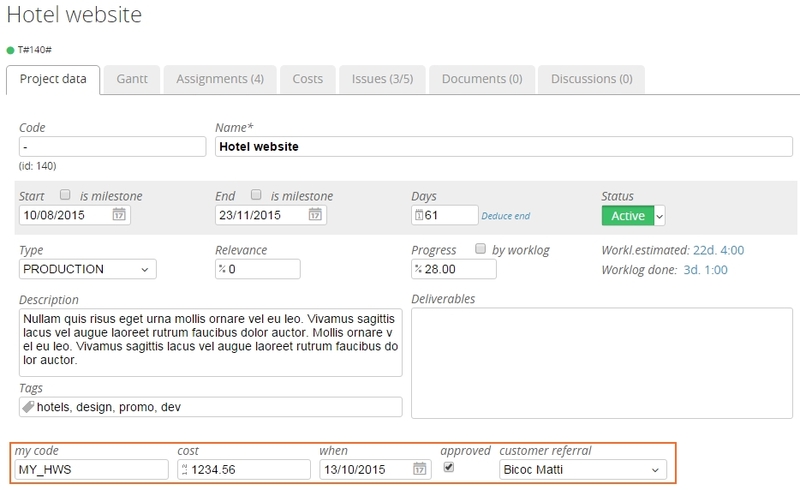 Custom fields are available on tasks, resources, issues, assignments, worklogs and costs. Notice that field input validation is active; number are treated as numbers so the dates, the boolean and the Person too. There are many option to define each field. If you want to internationalize the field, just create a label with the name of the field. admin->labels and create a new label called “street” and insert “street” for English, “rue” for French, “via” for Italian and so on.